Step off the beaten path and head to Fishing Charters & Tours and Loggerhead Marinelife Center. Take a break from the city and head to Big Cypress National Preserve and Shark Valley. Change things up with these side-trips from Miami: Wakodahatchee Wetlands (in Delray Beach), Anhinga Trail (in Everglades National Park) and Everglades National Park (in Florida City). 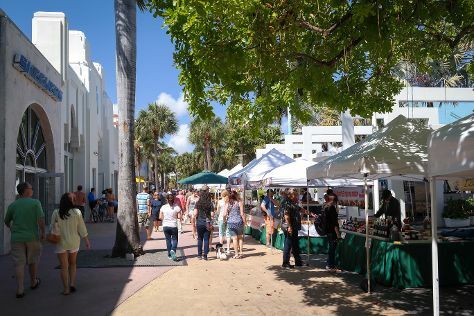 There's still lots to do: take a stroll through Lincoln Road, get interesting insight from Tours, browse the different shops at Bayside Marketplace, and take in the exciting artwork at Clyde Butcher's Big Cypress Gallery. To find more things to do, photos, reviews, and tourist information, go to the Miami tour planning tool . In April, daytime highs in Miami are 85°F, while nighttime lows are 71°F. Wrap up your sightseeing on the 24th (Wed) early enough to travel back home.